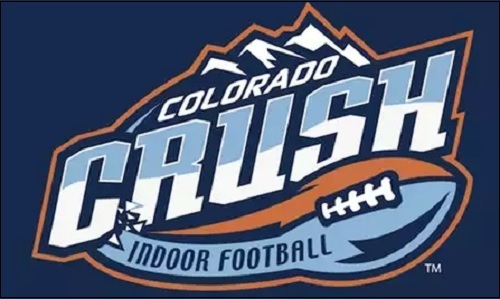 Colorado Crush kicker Miles Bergner has been named the Indoor Football League's Special Teams Player of the Week for week 17, the IFL announced today. Bergner, playing in just his third game for the Crush, nailed all four of his field goal attempts and all four of his extra point attempts in Colorado's 54-52 loss to the Wichita Falls Nighthawks on June 10. Two of those field goals came from 41 and 43 yards out. Bergner also averaged 38.2 yards on his 10 kickoffs. In a bit of a coincidence, Crush quarterback Liam Nadler was named Offensive Player of the Week for his performance in the team's 77-73 shootout win over the Nighthawks in Loveland on April 21. On the season, Bergner has converted on seven of his nine field goal tries with a long of 53 yards. He also has made all seven of his extra point attempts in his three games this season. He is averaging 41.3 yards on 23 kickoffs this season for the Crush. Crush wide receiver Kendall Sanders was an honorable mention selection for Offensive Player of the Week. He caught six passes for 87 yards with three touchdowns, and rushed once for 13 yards. Iowa Barnstormers wide receiver Brady Roland was named Offensive Player of the Week, and Arizona Rattlers defensive back Allen Chapman was named Defensive Player of the Week. Roland had four receptions for 104 yards and three touchdowns in the Barnstormers' 58-28 win over the Spokane Empire. Chapman had nine tackles, two interceptions and two pass breakups in the Rattlers' 56-25 win over the Cedar Rapids Titans. The Honorable Mention list for Special Teams Player of the Week consisted of: KR Trevor Kennedy (Spokane Empire), KR Tyler Williams (Wichita Falls Nighthawks), KR Tyrell Pearson (Green Bay Blizzard), and KR James Calhoun (Salt Lake Screaming Eagles). The Honorable Mention list for Offensive Player of the Week consisted of: WR Kendall Sanders (Colorado Crush), QB Drew Powell (Nebraska Danger), RB Ketrich Harmon (Arizona Rattlers), and Damond Powell (Cedar Rapids Titans). The Honorable Mention list for Defensive Player of the Week consisted of: DB John Hardy-Tuliau (Spokane Empire), DB James Calhoun (Salt Lake Screaming Eagles), DB Jamie Bender (Iowa Barnstormers), and DL Cory Henry (Sioux Falls Storm). The Crush, who are 3-12 on the season, will close out the regular season as they host the 11-4 Arizona Rattlers on June 16. That game is set for a kickoff of 6 p.m. (pacific daylight time). SCtoC will feature a preview and game thread for that game to be posted by June 15.